Locke & Key showrunners Carlton Cuse and Meredith Averill continue to fill out the cast for their adaptation of the IDW comic book series. Deadline reports that the show has added two new performers in major roles. Thomas Mitchell Barnet is playing Sam Lesser and Asha Bromfield will portray a character named Zadie. 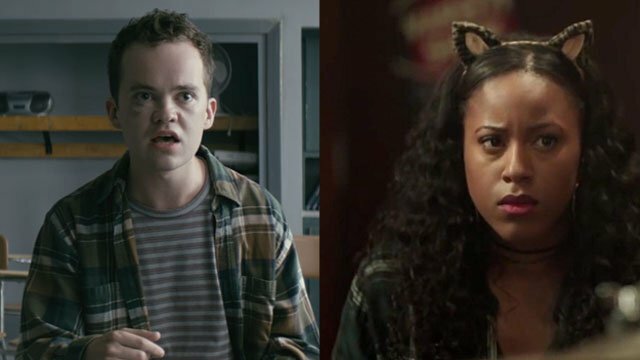 Barnet currently has a recurring role on the YouTube premium series Wayne, by Deadpool screenwriters Rhett Reese and Paul Wernick. Bromfield has appeared on several episodes of The CW’s Riverdale as Melody Valentine, a member of Josie and the Pussycats. She also recently appeared in the Syfy original movie Killer High, which aired last year. So far, the Locke & Key cast includes Connor Jessup as Tyler Locke, Emilia Jones as Kinsey Locke, Jackson Robert Scott as Bode Locke, Darby Stanchfield as Nina Locke, Laysla De Oliveira as Dodge, and Kevin Alves as Javi. Locke & Key co-creator Joe Hill wrote the new TV series’ pilot episode with Aron Eli Coleite. What are your thoughts on Barnet and Bromfield joining Netlix’s Locke & Key series? Give us your impressions in the comment section below!